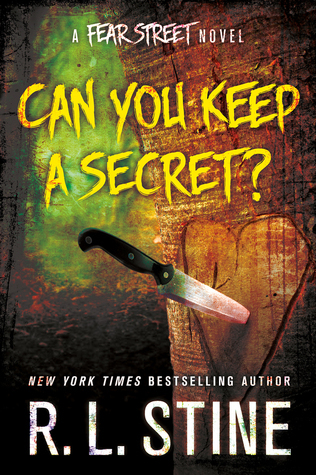 Presenting Fear Street Relaunch #4 Can You Keep A Secret? by R. L. Stine. It felt like the synopsis promised one story but the actually story told something else entirely. I seriously am no longer the right audience for this series. Be it Goosebumps or the Fear Street books. It is just too predictable and frankly not that scary at all, albeit very very gross. I have always loved R.L. Stine's books but this series isn't really mounting to much here. Although the author does try to shake things up a bit by adding more than one arcs this time. On one hand there is the problem of the stolen money they found in a suitcase in the tree and on the other hand is the werewolf running rampant in Emmy's county. I liked how Stine tries to mix these two together .... but it fails miserably because as we proceed much more importance is given to the money problem that the wolf seems like an after-thought .... But the starting prose was so amazing. And really Stine just can't write romance at all. The synopsis is also wrong about a lot of things. The girl is called Emmy, not Emma. They found a suitcase of stolen cash not a bag. Emmy & Eddie are not from the 'wrong side of the tracks'. They also don't leave the money in the tree they found it in but took it and buried it in a pet cemetery to be used when it was safe, No tragedy happens to family in the sense the synopsis points to. So while the story itself isn't all that bad, aside from all the problems ...... Not sure I really want to recommend it but at your own peril people. "Decent plot with the usual R.L. Stine band of horror but a terrible finish altogether"